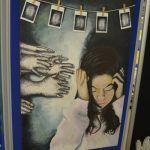 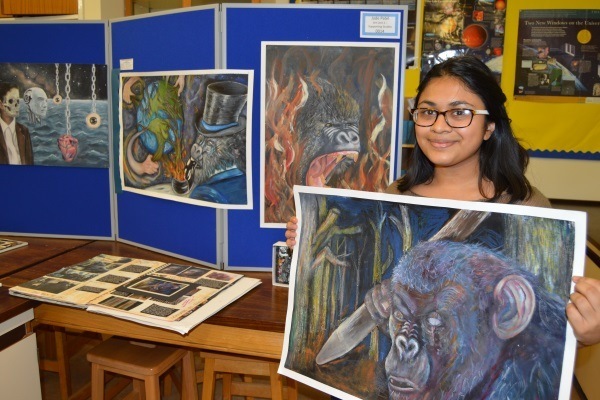 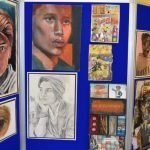 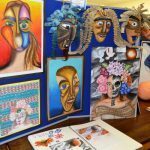 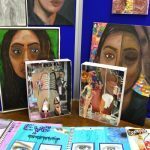 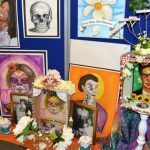 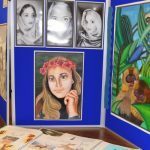 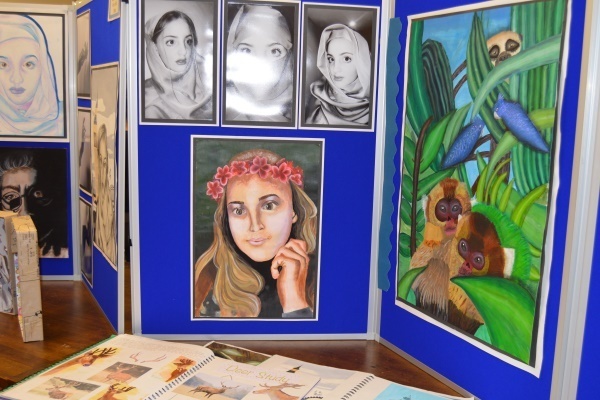 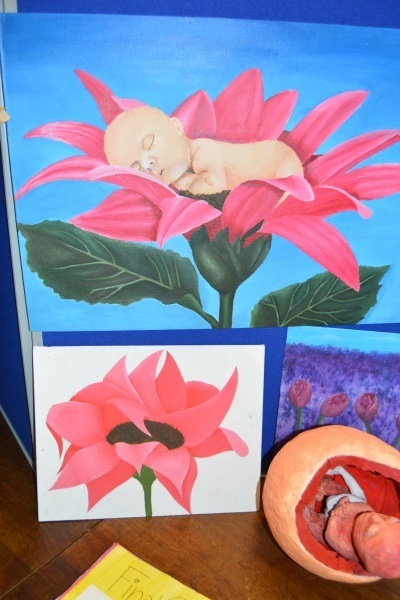 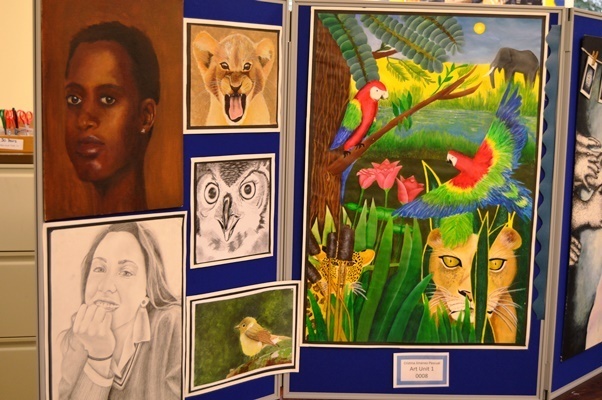 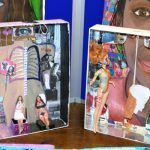 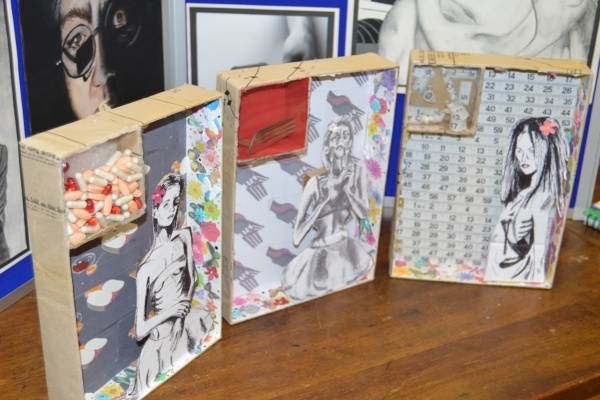 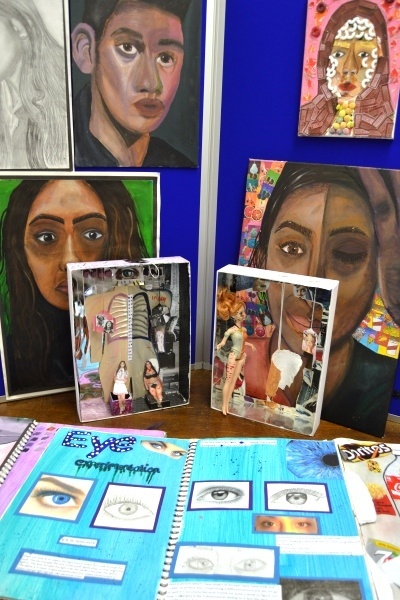 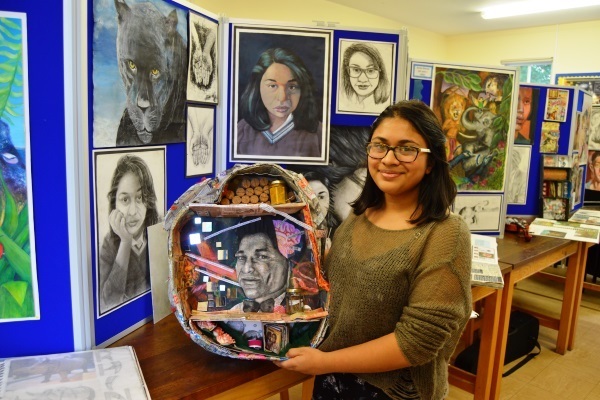 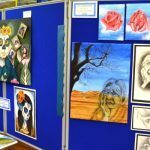 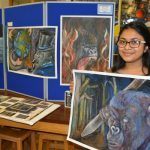 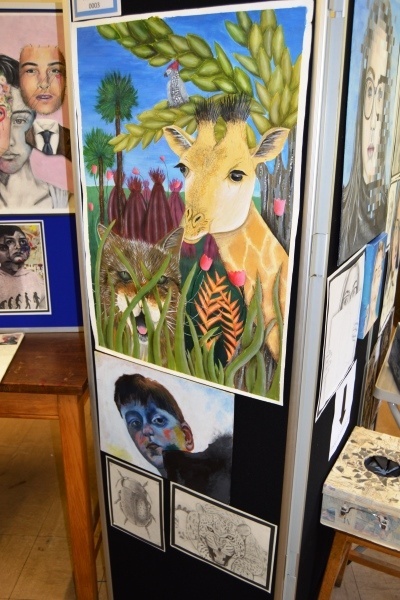 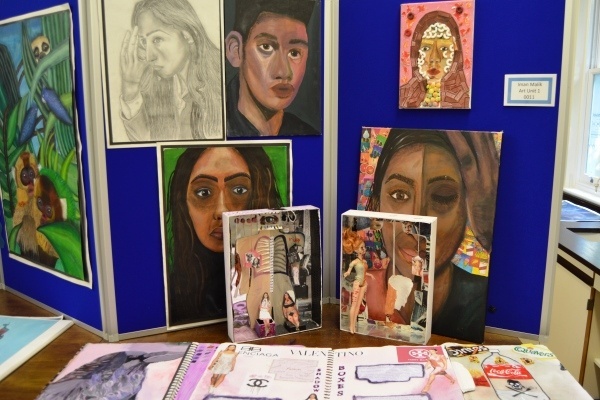 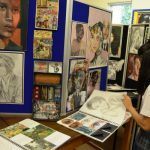 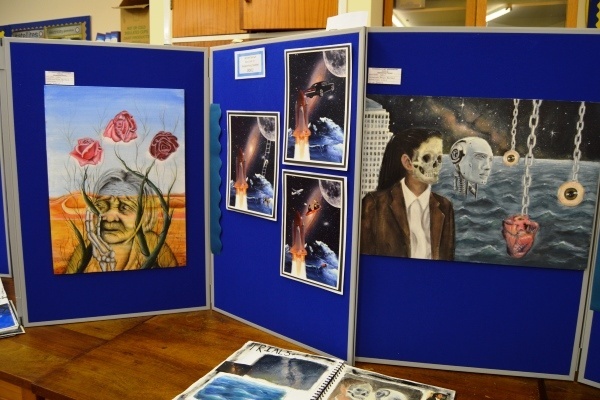 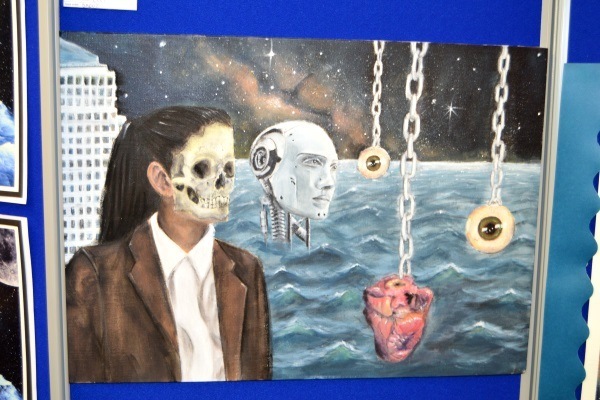 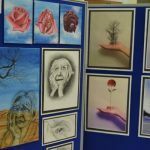 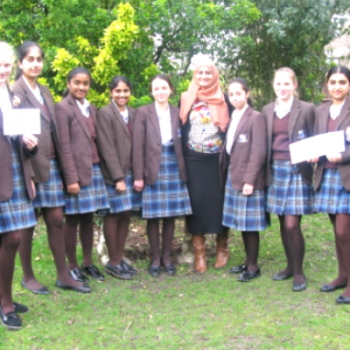 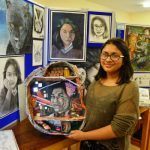 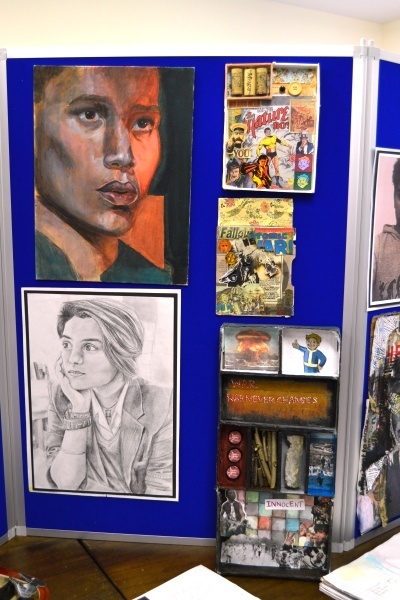 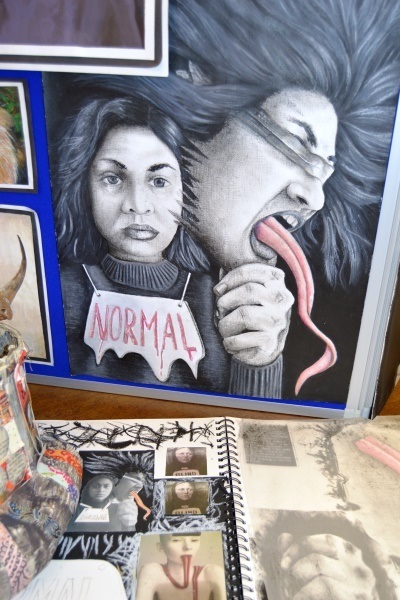 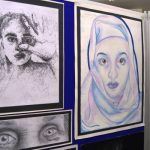 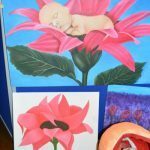 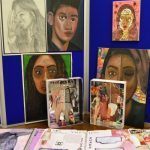 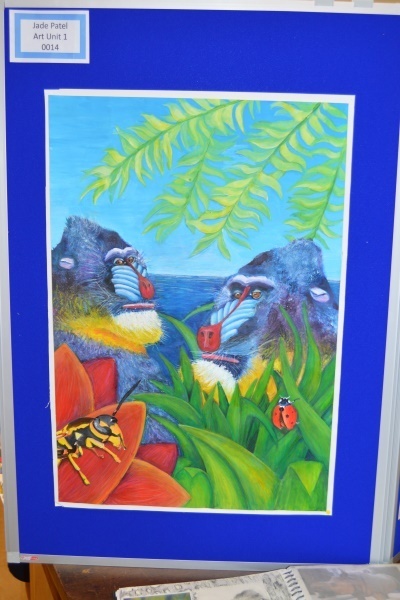 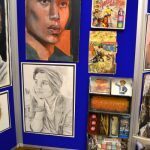 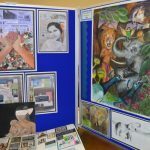 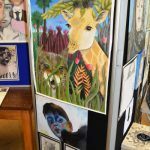 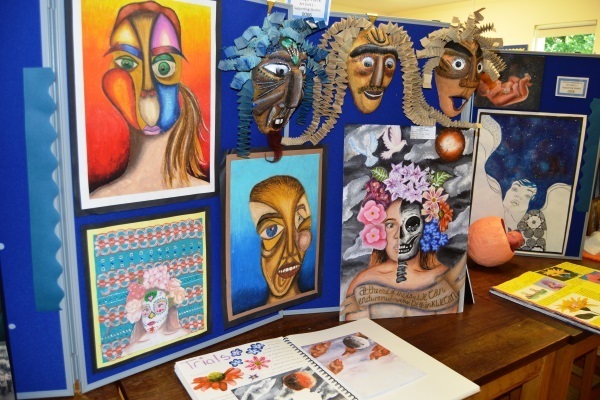 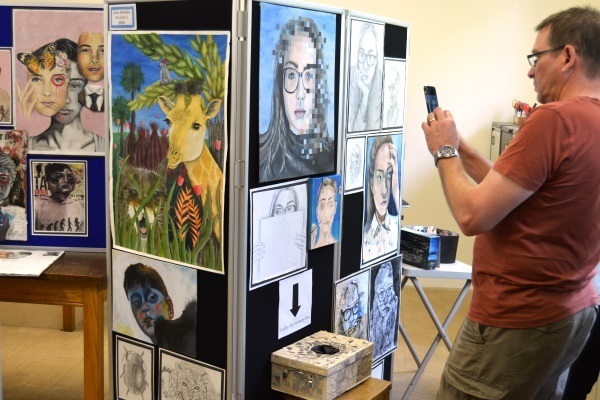 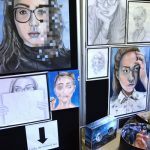 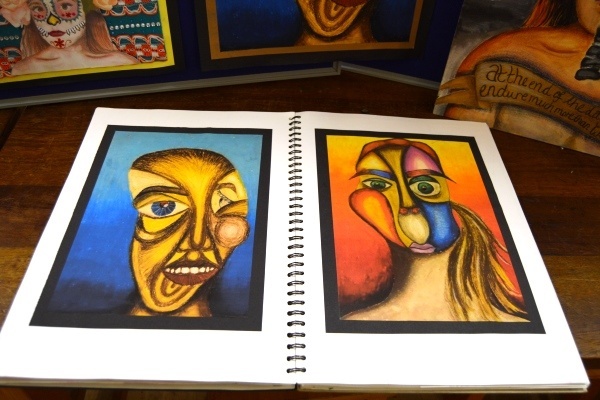 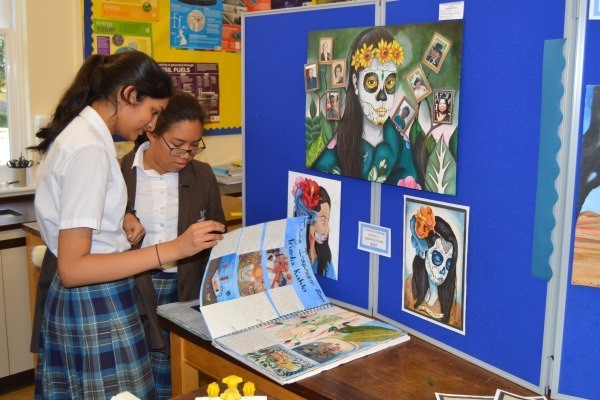 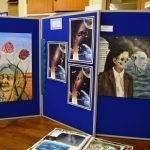 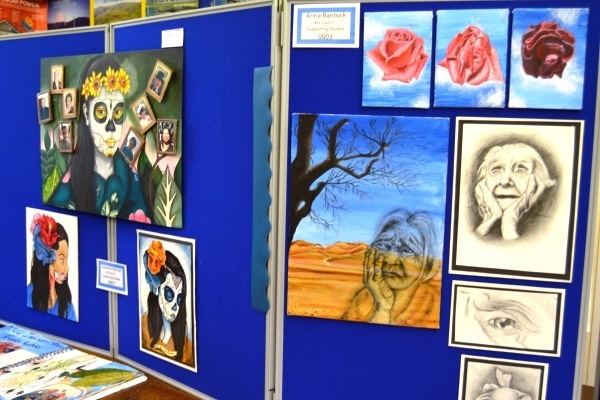 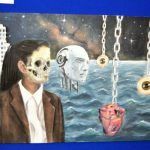 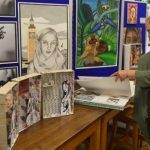 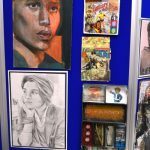 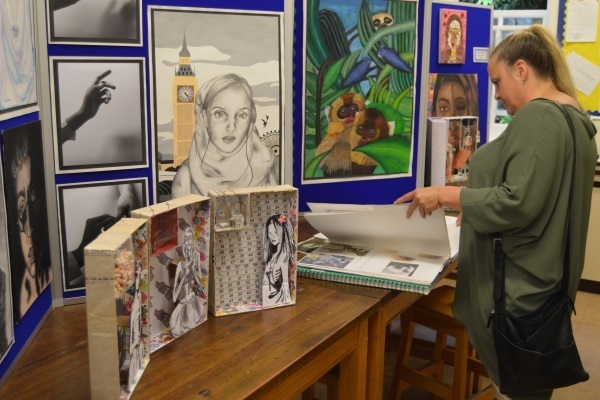 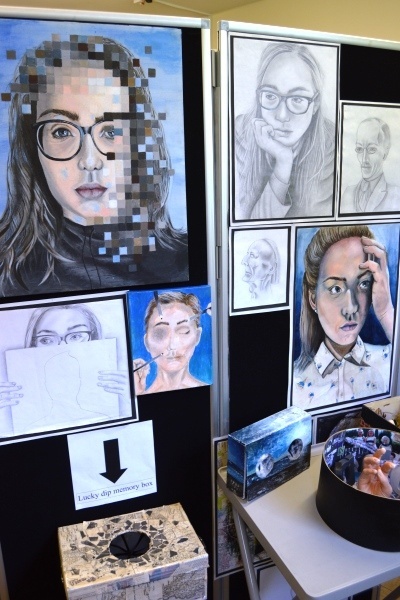 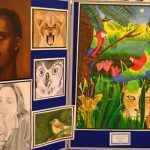 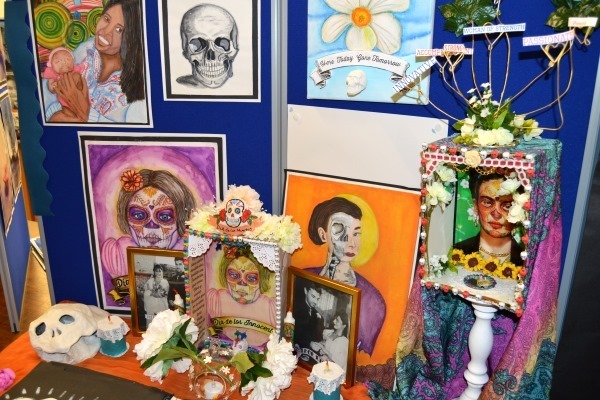 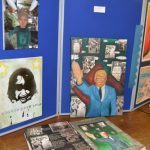 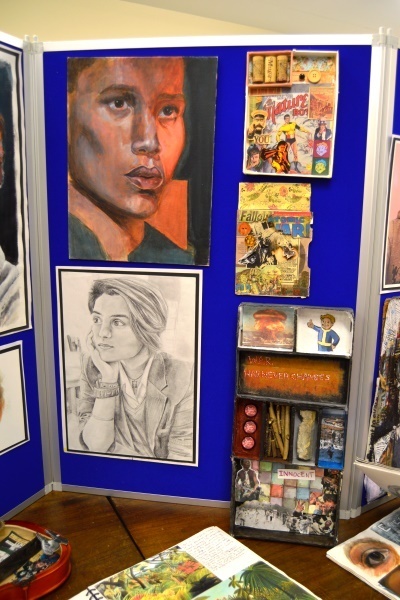 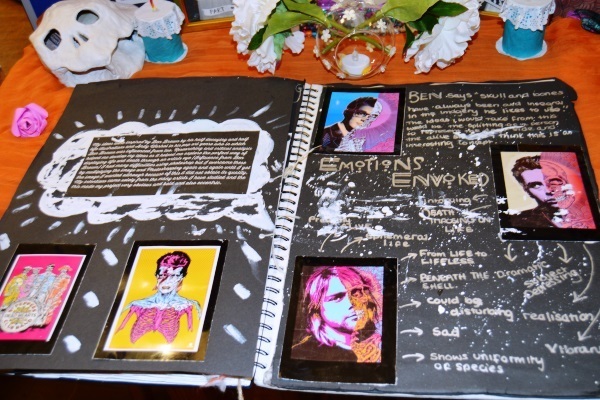 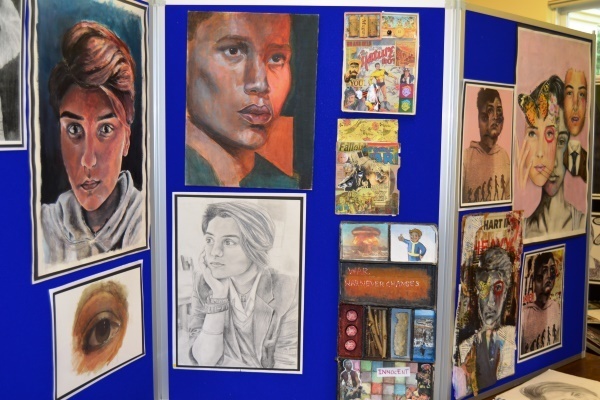 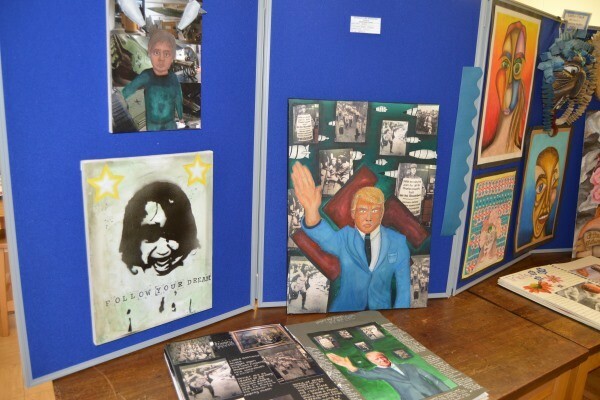 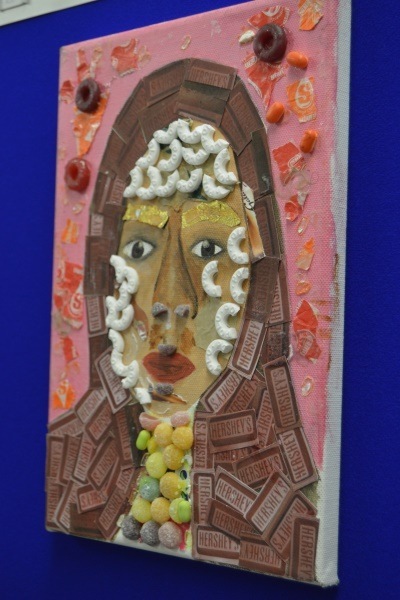 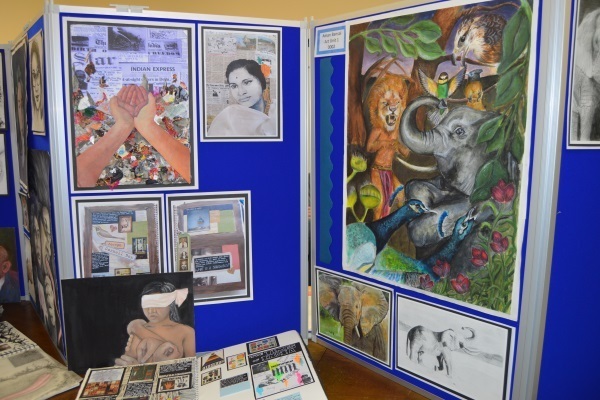 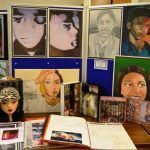 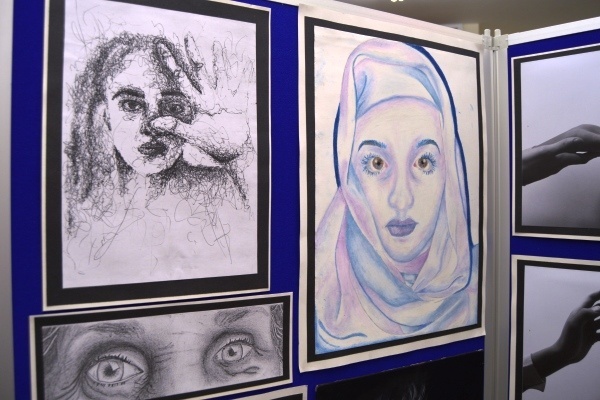 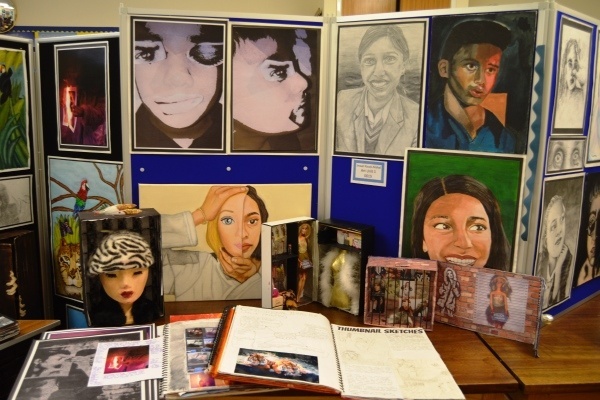 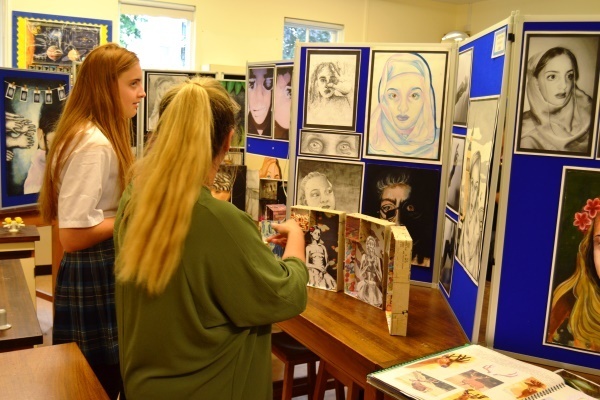 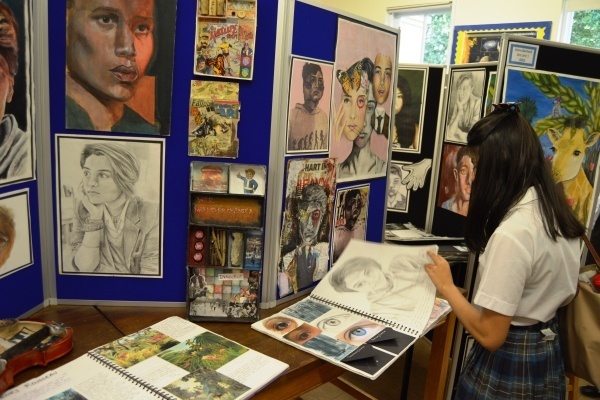 On Friday 16 June, the school held an art exhibition displaying the pupils’ GCSE course and examination artwork. 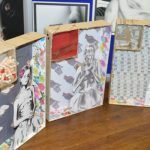 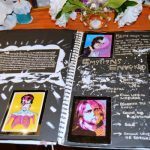 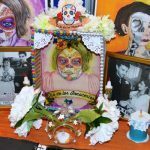 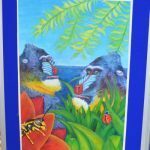 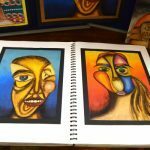 The art was both exciting and original and consisted of beautiful drawings, printing, paintings, mixed media and three-dimensional constructions. 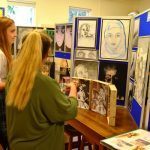 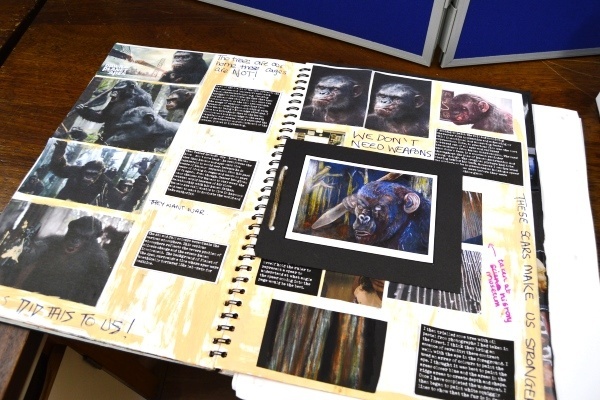 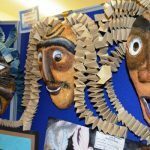 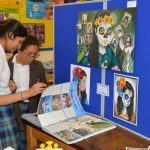 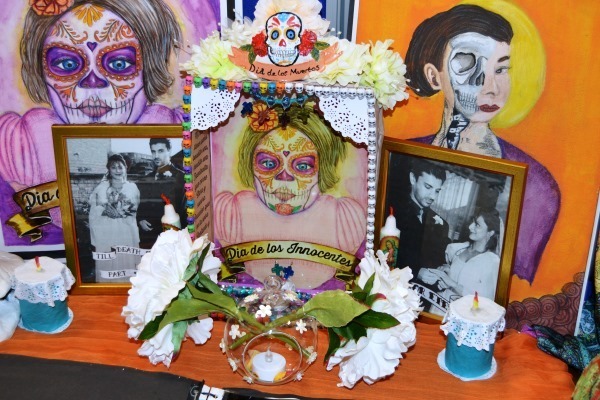 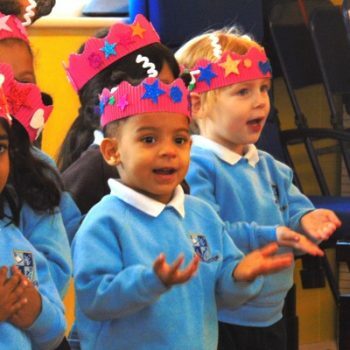 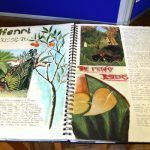 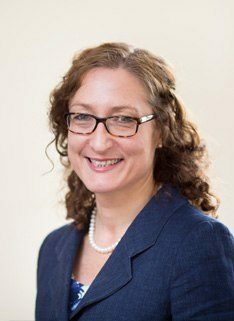 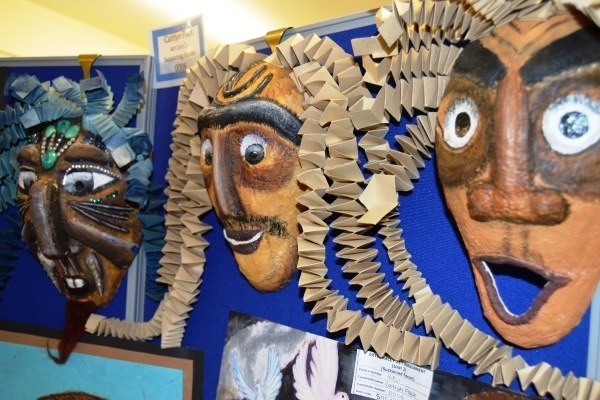 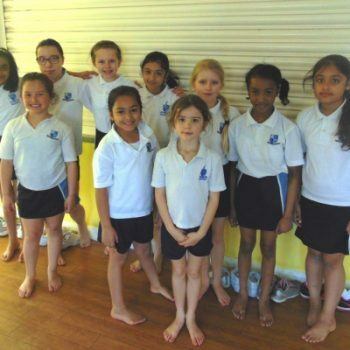 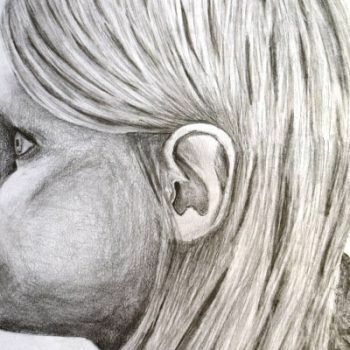 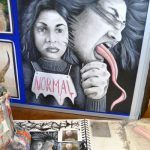 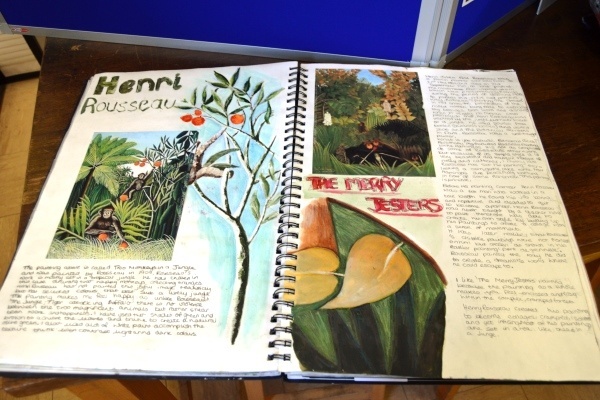 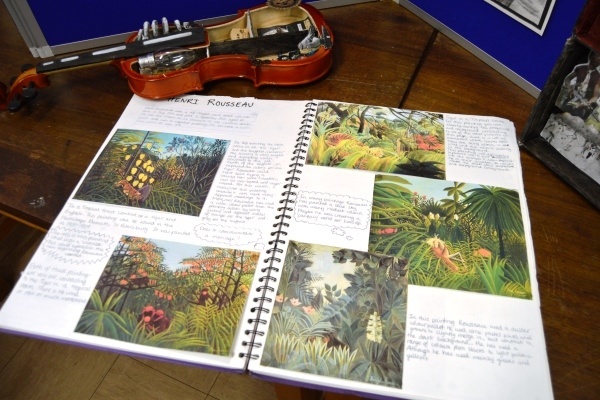 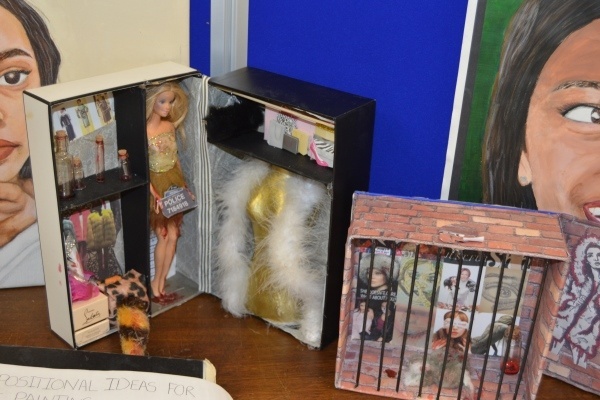 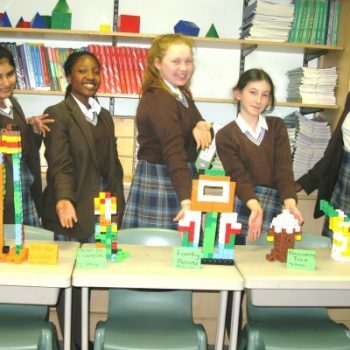 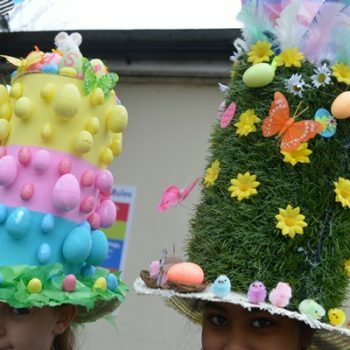 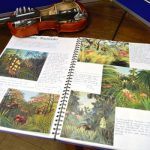 Pupils have to meet a number of assessment objectives including researching and recording, development and refinement of ideas and making connections with art from other times, cultures and outcomes. 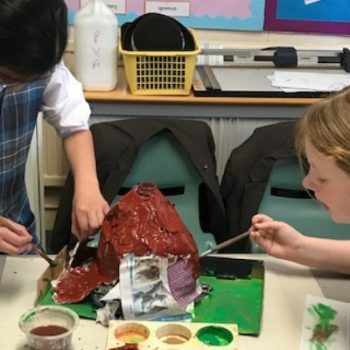 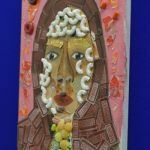 The pupils have undertaken a wide range of primary research to enrich their own developing ideas, from visiting The National Portrait Gallery, The Hunterian Museum, The Imperial War Museum and The Tate Modern. 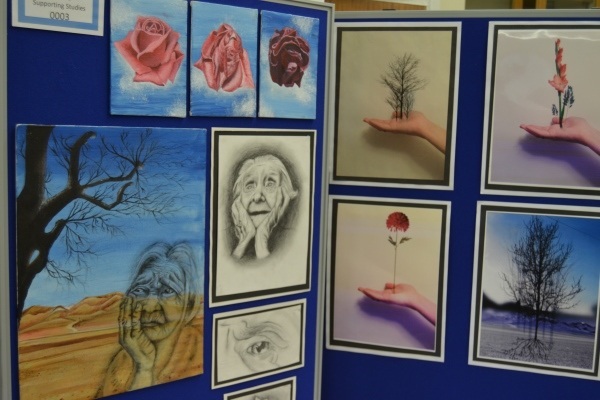 The work was very impressive, showcasing the many talents of our pupils. 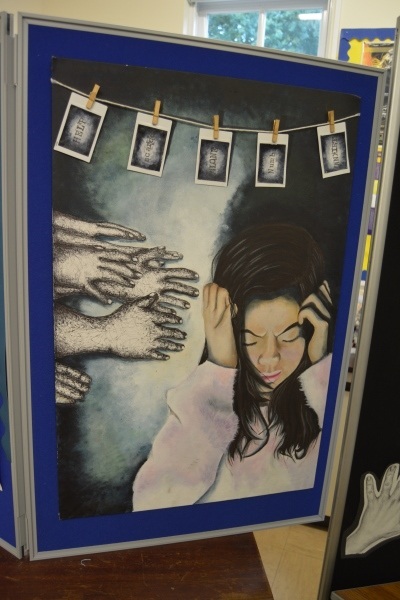 Many pupils work was extremely thought provoking, investigating issues such as eating disorders, depression, conflict and war. 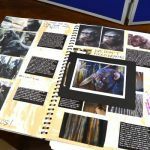 A lot of hard work and determination went into the work. 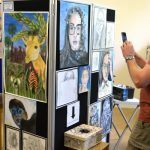 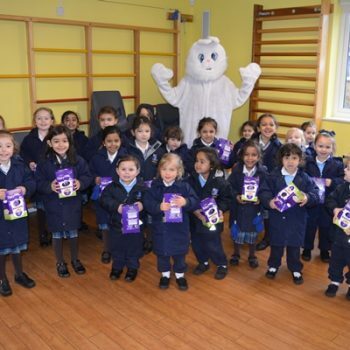 It was a great exhibition, well done all!